Another day, another card using the "All That You Are Stamp Set" and today I have used grey as my colour theme! Basic Grey, Grey Granite and Smoky Slate. Not your typical choice of colour for flowers but hey ho! Starting with a Smoke Slate card base, I have stamped at random on a piece of Whisper White card that has been used as a base layer to this card. Using Smoky Slate (light and dark) Stampin' Blends, I have coloured in the flowers. 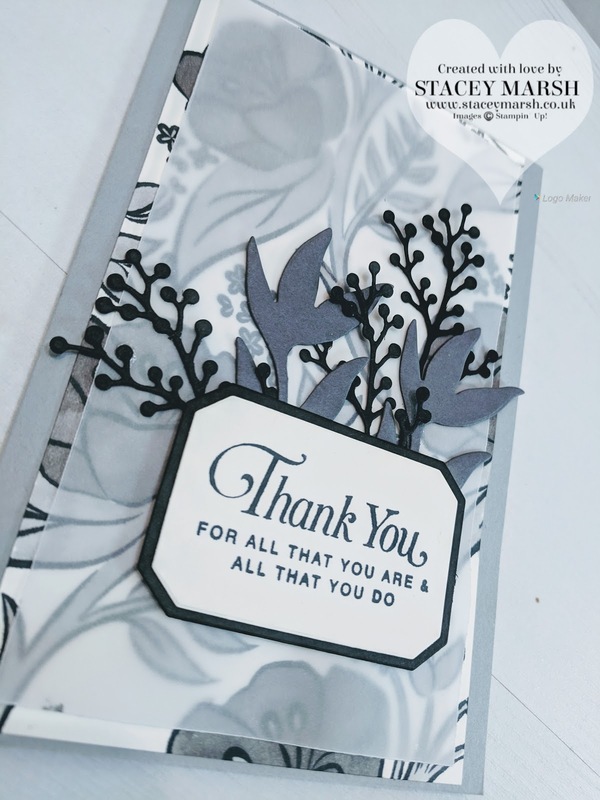 Stampin' Blends are so easy to use to create different tones of colour, and it's nice to do single colour colouring for a change. I have added a sheet of Vellum over the top to mute the background and added a selection of leaves from the Frosted Bouquet Framelits Dies in both grey and black. The sentiment comes from the All That You Are Stamp Set and I have used the frame from the Frosted Bouquet Framelits Dies also. 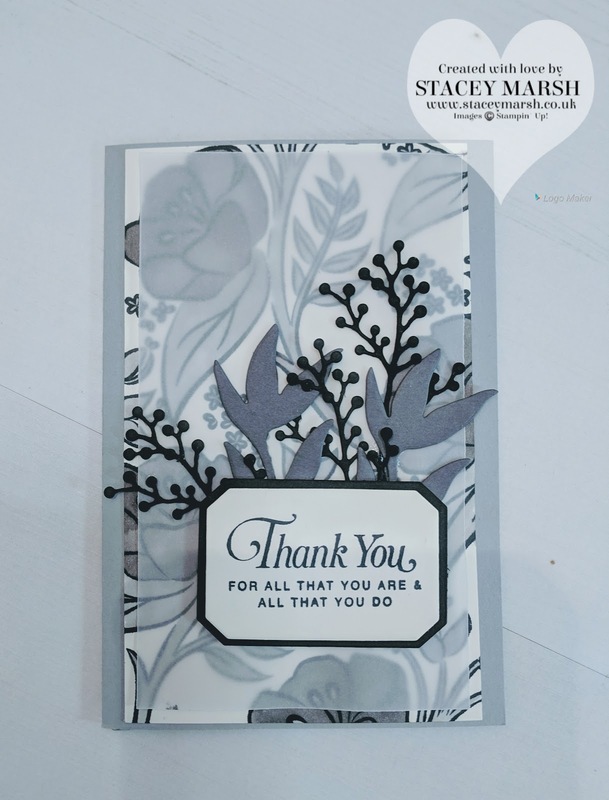 I think this style of card would look great in any colour combination but I am loving the neutral tones of grey for this one! What do you think?